There are quite a number of phones from different OEMs that has been launched at the ongoing Mobile World Congress, of which Sony Xperia XZ Premium and Xperia XZs is also among. Sony Xperia XZs features a 5.2" IPS LCD capacitive touchscreen. It runs Android 7.0 Nougat out of the box and packs a cool 4GB RAM plus 32GB inbuilt memory which can be expanded up to 256GB with the help of an external SD card. The Xperia XZs is powered by Qualcomm MSM8996 Snapdragon 820 chipset, it supports fingerprint sensor that can accommodate up to 10 different fingerprints for convenience and speedy unlocking. 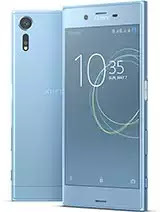 You can see below for the full specifications and price of Sony Xperia XZs. Mad specs. That 2900mah is stronger than tecno 4000mah. Trust me. I know.